As a photographer myself, I can tell you that these are all important. The different cameras are equipped with different lenses for different light environments, distances, and numerous other factors. Also when you run out of film in one, its a pain to try and replace it on the spot. That’s ridiculous. 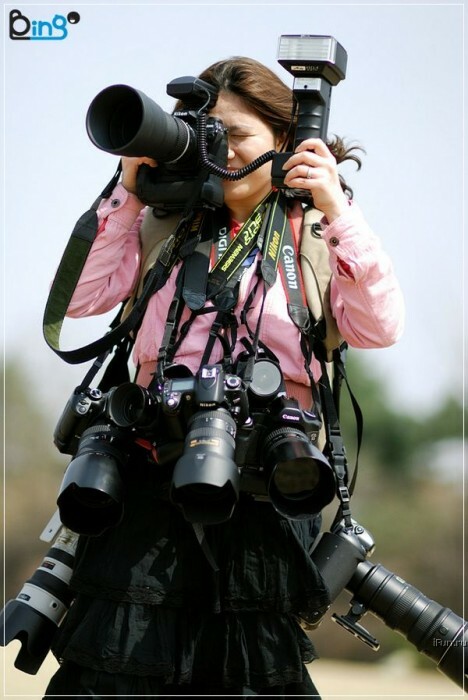 It’s time to design a set of camera pouches for all of that mess…be right back.